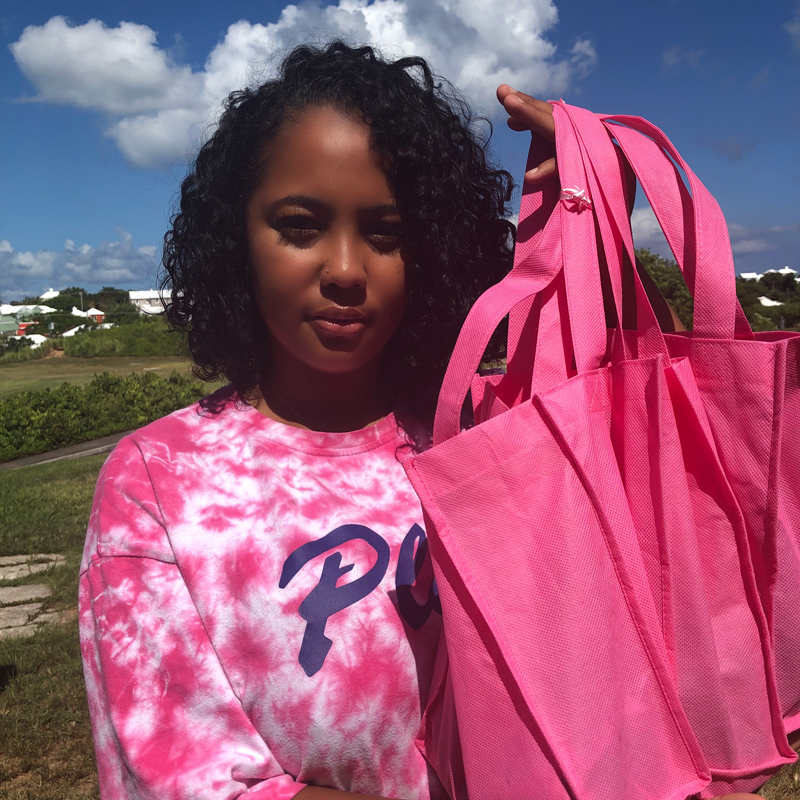 BEDC summer student Asia Atienza has launched a natural skin care product line called “Lucid”, featuring a local product that is all natural. Ms. Atienza said, “I am a recent graduate of the Berkeley Institute. I had always taken a keen interest in skin care. I love the process of it, the skin is our largest organ and we should take care of it responsibly. “I knew that I’d always wanted to make my own skin care products one day, and I had plans for starting a skin care line once I graduated university and received my degree in actuarial science. I had always pictured it as something I would do on the side, more like a hobby. “However, I saw an opportunity with BEDC’s Summer Student Entrepreneurship Programme, and I applied. I thought that I should remain optimistic, being that anything is possible, and it would also give me time to fully focus and commit to the idea, even if it is only for the summer. “These products can either be purchased individually or in a package. “We call our packages ‘4 Steps to Flawless Skin’. After several testimonies, the products have been described to leave the skin feeling cool, clean and refreshed. Which is what we aim for at “Lucid”. “I plan on pursuing Lucid again in the far future. However, after summer, I will be discontinuing the business to devote most of my time to my studies. I have learned so much so far and I am grateful to BEDC for giving me this opportunity. “Lucid products can be ordered through our Instagram page at @lucidbermuda or by email at lucidbda@gmail.com. “You can organise a delivery within certain parishes, however you will also be charged a delivery fee, or you can arrange a pick up. Don’t bother do Acturial Science plus the Reinsurance industry is not what it used to be and is taking a hit going downward. Take up studies in Marketing and developing and selling your product. You will be much better off studying for a Business, Marketing degree and sell to a much bigger and broader market such as on Amazon and Walmart. Follow that which fuels you! All best wishes to you for continued success… and it looks like you have beautiful skin so you are a good advertisement for your products.